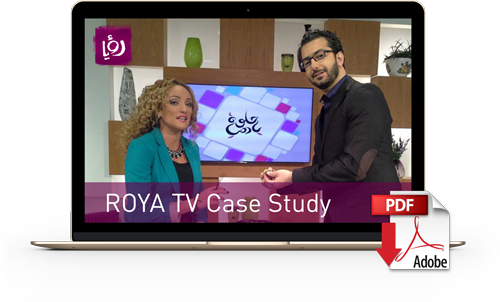 Today’s TV audiences want to consume and have access to more and more content through an increasing number of devices and platforms, and that is the main reason why Roya TV was looking forward to take on this challenge as soon as possible. Its primary requirement? Go beyond their traditional linear TV business and acquire technology that can deliver video through the Internet, in order to head into the digital world as soon as possible. The platform provides the channel also with the possibility of carrying out TV and live events’ broadcasts from virtually any device currently available in the market. The deployment of a robotic library and its integration with VSNExplorer facilitates the movement of Roya TV assets from online storage to archive and improves the distribution of content.